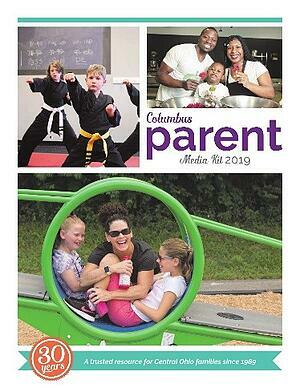 Columbus Parent is a glossy, quarterly publication that distributes more than 26,000 copies in nearly 45 ZIP codes at 1,000-plus locations throughout Central Ohio. Special advertising sections include the 2019 topDentists listing of more than 60 local pediatric dentists and orthodontists in the March issue. And, in the September issue, Columbus Parent will provide readers with the 2019 Top Doctors list of more than 100 Central Ohio pediatric doctors and specialists. Other sections include the annual Summer Camp Guide, Summer Fun Guide, Private Schools Guide and the Child Care directory along with health, food and technology updates. Columbus Parent celebrates its 30 year anniversary in 2019. Our e-edition mirrors the print product, reaching even more readers than those who pick up a hard copy. Your advertising message will have extended selling power through the e-editions. ColumbusParent.com also offers online exclusives, web extras, slideshows and videos. Advertisers also can reach readers through The Bulletin, a weekly e-newsletter that features top reads and event recommendations, plus links to other Columbus Parent content and DMG Rewards. Readers also enjoy following popular social media pages on Facebook, Twitter and Instagram for content, insight, photos and contests.